When Jeff Chu came out to his parents as a gay man, his devout Christian mother cried for months every time she looked at him. In an attempt to understand how America's Christians became so deeply polarized about homosexuality, Chu set off on a journey across America to survey the political and theological viewpoints permeating our culture. His book, Does Jesus Really Love Me? : A Gay Christian's Pilgrimage in Search of God in America (Harper), is a personal journey of belief and a timely investigation into the confusing intersection of faith, politics, and sexuality in America. A powerful speaker, Chu is an excellent fit for cultural organizations, religious institutions, universities, and libraries. In his book and keynote presentations, Chu tries to distill what the diverse followers of Christ believe about homosexuality, and to understand how these people who purportedly follow the same God and the same Scriptures have come to hold such a wide range of opinions. Why does Pastor A believe that God hates me, especially because of my gayness? Why does Person B believe that God loves me, gayness and all? From Westboro Baptist Church and their "God Hates Fags" protest signs to the pioneering Episcopalian bishop Mary Glasspool, who proclaims a message of liberation and divine love, Chu captures spiritual snapshots of Christian America at a remarkable moment, when tensions between both sides in the culture wars have rarely been higher. A successful journalist with an eclectic career, Chu has interviewed presidents and paupers, corporate executives and preachers, Britney Spears and Ben Kingsley. As a writer and editor for Time, Conde Nast Portfolio, and Fast Company, he has compiled a portfolio that includes stories on megahit-making Swedish songwriters (a piece for which he went clubbing in Stockholm); James Bond (for which he stood on a Spanish beach and watched Halle Berry emerge from the waves over and over and over); undercover missionaries in the Arab world (he traveled to North Africa and went to church); and the decline of Christianity in Europe (he prayed). On the wall of his New York office, you'll find a quote from former Senator John Warner, who once told Chu: "You're a good little interviewer!" A California native, Chu went to high school at Miami's Westminster Christian, where he sat behind Alex Rodriguez in Mr. Warner's world history class. A graduate of Princeton and the London School of Economics, Chu has earned awards from the Deadline Club and the German Marshall Fund for his journalism. He also received fellowships from the Phillips Foundation and the French-American Foundation, and participated in the 2012 Seminar in Debates on Religion and Sexuality at Harvard Divinity School. The nephew and grandson of Baptist preachers, Chu is an elder at Old First Reformed Church in Brooklyn, New York. He loves the San Francisco 49ers, the Book of Ecclesiastes, and clementines. And he detests marzipan more than he can explain in words. "When inviting a prominent writer or scholar to campus, one always wonders. You know the speaker will be smart, but you wonder if their presence as a speaker will be dynamic, if they will translate to audience outside the field, if they will integrate with students as easily as with colleagues or community friends. Jeff does. He is relentlessly smart in what he writes, but he also brings his journalist-gifts to all of his work and is amazingly accessible, open and easy to engage. I couldn't recommend a speaker more highly." "Jeff's own story makes me hopeful. It's one of grace." "In telling these stories--chief among them his own--Jeff has done an extraordinary thing, showing us all to the God who is big enough and loving enough and true enough to meet all of us exactly where we're at. This book is moving, inspiring, and much needed." "Jeff Chu has written a masterpiece about sexuality and spirituality in America. In this unforgettable blend of reportage and memoir, he doesn't demonize, ridicule, or pander to an ideology. Instead, he explores--and inspires. This is the smartest, and most humane, book about Christianity and homosexuality that I've ever read." "People struggling to reconcile homosexuality and Christianity will find much that validates their experiences in Chu's thoughtful book. 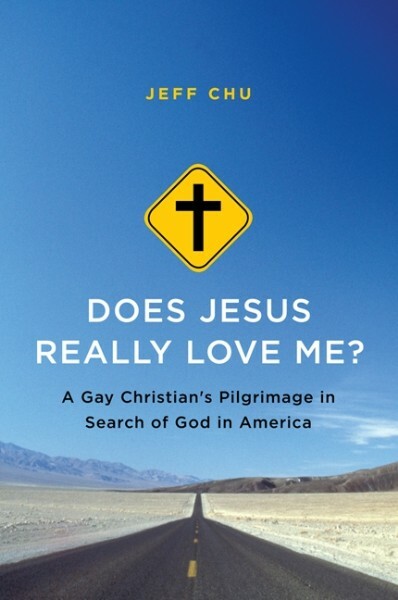 Those confused why anyone would attempt to reconcile conservative Christian and gay identities will better understand the dilemmas gay Christians face after reading Does Jesus Really Love Me. "Finally an examination of Christianity and homosexuality that refuses to demonize either side. A smart and deeply personal exploration of one of the great public questions of our time." 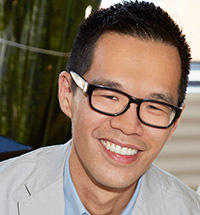 "Jeff Chu is a gay Christian who moves my straight atheist heart. His exhaustive quest for stones cast--leaving none unturned--lays bare a vast national offense: valuing identity over experience, judgment over love. This is a book for anyone who believes the church is unbroken, who feels they have no place in a world that disdains them, or who is looking for fellowship amongst courageous travelers striking their own path." "Jeff Chu is a smart and experienced guide through evangelical battles over homosexuality. The combat can be savage, and he doesn't shield us from sights of bragging victors or desolate victims. But Jeff is also our fellow pilgrim, and so he leads us beyond the battlefields to unexpected scenes of hope. This is a sobering book, but above all a book of compassionate consolation." "Jeff Chu's pilgrimage across America to discover his own place as a gay man in the Christian church as well as attitudes about being gay and Christian across denominations is at once timely, smart, poignant, disturbing, inspiring, and maddening. It's essential reading for anyone who cares about the rights of the LGBTQ community to be treated as equal citizens at every level, including the religious-which means it should be essential reading for everybody." "A beautiful, courageous, heartbreaking exploration. . . . Does Jesus Really Love Me? is both a moving personal memoir and a pivotal piece of reporting on what the deadlocked Christian fight over homosexuality is costing human beings, the churches, and our culture." "An essential survey description of homosexuality in U.S. churches today that should be read by church members and leaders, and people who care about how U.S. Christians engage with sexual minorities and related issues." "Compassionate, engaging. . . . Resisting easy answers, Chu deftly portrays the lived experiences of Christians-mostly gay, though not all. . . . Overall, the book brings complexity and humanity to a discourse often lacking in both." "Poignant, at times painful, and spiced with wry humor, this is a must-read for LGBT people on their own spiritual journeys or anyone interested in reconciling religion with sexuality."